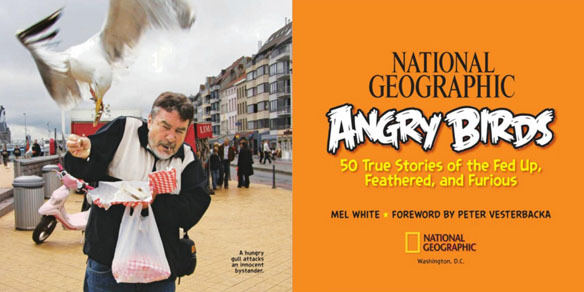 If playing Angry Birds has suddenly turned you into a bird lover, you’ll want to get your talons on the latest book National Geographic Angry Birds: 50 True Stories of the Fed Up, Feathered and Furious. Birds have feelings too and lo and behold, one of them is anger. The creators of the iconic game didn’t just make that up. 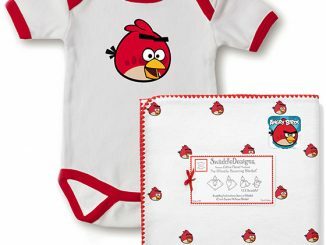 Or maybe they did and the existence of real-life angry birds is just a coincidence. 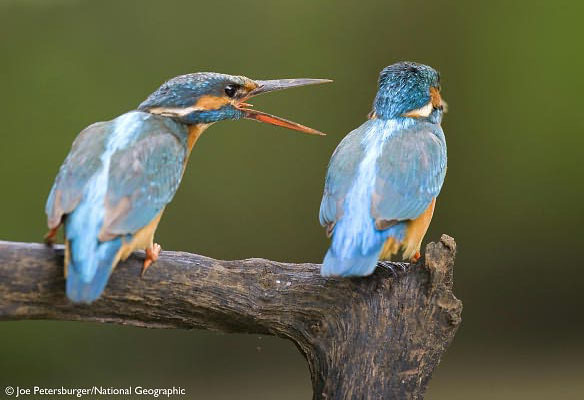 When it comes to fight or flight, our feathered friends don’t always take the easy way out. Some decide to retaliate! 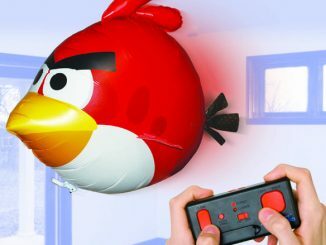 This hilariously eye-popping book showcases real-world angry birds and 50 fantastic stories peppered with tips to avoid them, as well as fascinating facts about angry bird behavior. 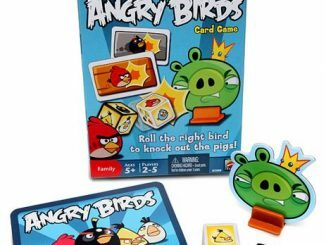 In addition to the funny and light-hearted real-life angry bird stories, National Geographic Angry Birds: Fed up, Feathered, and Furious will tell, for the first time ever, the story of the Angry Birds we all know and love from the hit game. 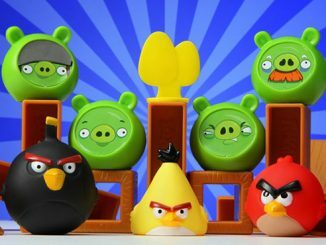 Angry Bird fans will finally get to learn the personality, name, and all the details of each of the iconic Angry Birds. 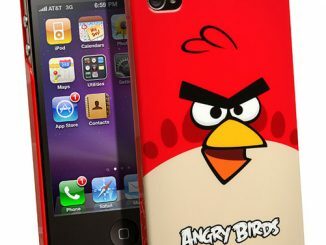 The Angry Birds’ stories have been TOP SECRET until now, and will only be revealed in this book! 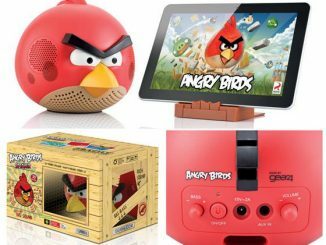 Rovio graphics and National Geographic photography are featured throughout. Structured like the game which progresses in degree of difficulty, the book progresses in degree of anger and devotes a chapter to each level of anger intensity; Annoyed, Testy, Outraged, and Furious. 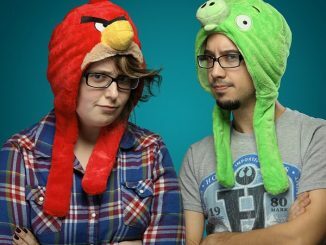 Readers will discover the world’s angriest real bird at the end. 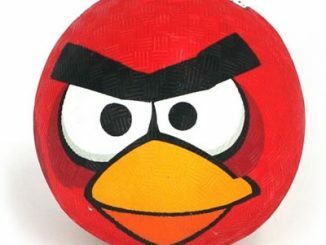 In the book you will read about all sorts of angry birds and their particular behaviors. You’ll see great photo footage of birds caught in the midst of fury and will learn the reasons why the birds act the way they do. The book is broken up into four “levels’ of anger: Level 1 – Annoyed, Level 2 – Testy, Level 3 – Outraged, and Level 4 – Furious. 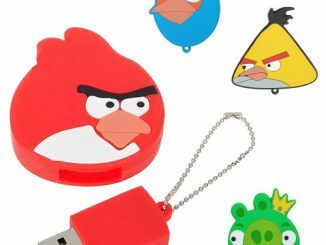 Also, you’ll get to find out which is the world’s angriest bird. I have no clue what it would be, but am curious to find out. I’ve seen some pretty ticked off birdies in my lifetime. 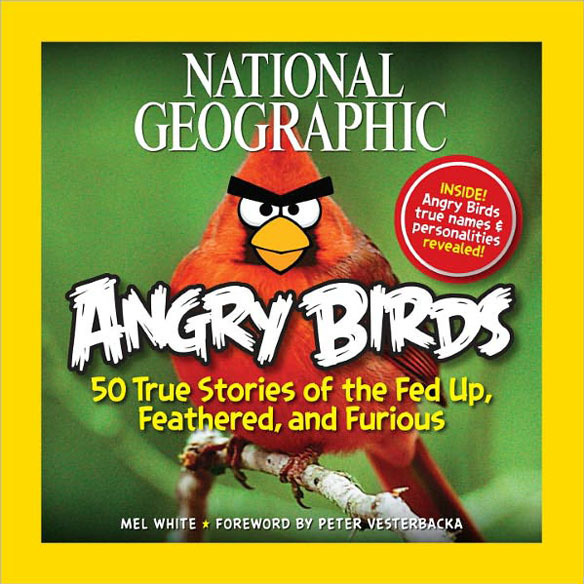 The National Geographic Angry Birds Book is available on paperback at Amazon.com, Barnes & Noble, Target.com and Walmart.com for about $10 and under. 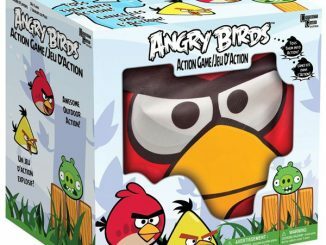 Did you know that there is also an Angry Birds Cookbook? 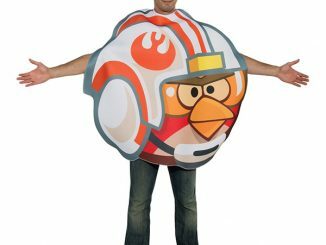 It’s called the Angry Birds Bad Piggies’ Egg Recipes Cook Book.